Could there have been a new judge on "Dancing With the Stars" this season? Seems like it was almost a reality. 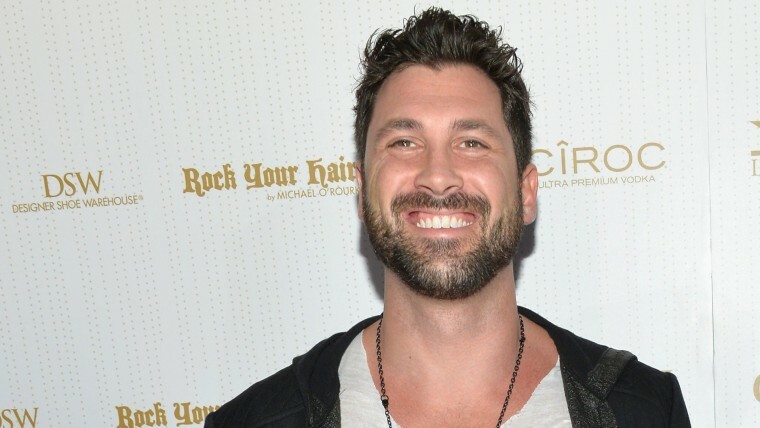 Maksim Chmerkovskiy, who's back after a two-season hiatus, told TODAY that he almost returned to the show this year not as a pro dancer, but as a member of the panel. If Chmerkovskiy had accepted that gig, it would've been the first time "Dancing With the Stars" had anyone other than Carrie Ann Inaba, Len Goodman and Bruno Tonolio as a regular face on the panel. The three have been waving their score paddles since day one of the show. The bad boy of the ballroom is qualified for the judging gig, though. In addition to coaching many of the show's celebrity hoofers, he had a memorable stint as a guest judge in the semifinals last season. He gave honest critiques and heartfelt compliments, didn’t hesitate to score differently from the other judges and bantered well with the trio despite having had heated disagreements with each of them in the past. So why did Chmerkovskiy decide to sign up for another grueling pursuit of the coveted mirror-ball trophy instead? After all, despite making it to the final three four times in his 13 seasons, he's never won. “There was a moment when I asked myself, ‘Why? Why? Why? You’ve done enough! Another 10 weeks of routines and stress and pressure?’” he said. Turns out his assigned partner for the new season played a big factor in his decision. The pro is teamed with Meryl Davis, who won gold in ice dancing at the Sochi Olympics, and the pairing may up Chermkovskiy's chances for glory. Competing with an ice skater as a partner certainly helped pro Mark Ballas in season six, who went on to claim ballroom gold with figure skater Kristi Yamaguchi. “I got (Meryl Davis) and said, ‘OK! That’s why!’ We’ll see what happens," Chmerkovskiy explained. “I’m very grateful to the show." And on the subject of being grateful, Chmerkovskiy said he's quoting a very recent Oscar winner on the subject: “As Matthew McConaughey — who’s now my new favorite person — says, ‘Gratitude gets reciprocated.'" The show goes retro this season with contestants including Danica McKellar, Billy Dee Williams and Candace Cameron Bure. "Dancing With the Stars" kicks off season 18 on March 17 at 8 p.m. on ABC.